A low cost, medium-security access control smart card designed to work with the MIFARE open standard. 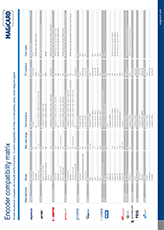 Utilising ISO 14443-3 type A communications. Available in 1K or 4K formats. MIFARE cards are memory storage devices, where the memory is divided into segments and blocks with simple security mechanisms for access control. They are widely used for electronic wallet, access control, corporate ID cards, transportation or event ticketing. 1K MIFARE cards offer 1024 bytes of data storage, split into sixteen sectors. 4K MIFARE cards offer 4096 bytes split into forty sectors. of which 32 are same size as in the 1K with eight more that are quadruple size sectors. MIFARE uses an NXP proprietary security protocol (Crypto-1) for authentication and ciphering. Cards are the key to security. UltraSecure cards are engineered to withstand years of everyday use. 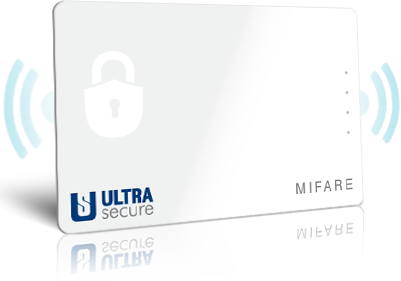 UltraSecure cards are built for personalisation. They were developed with a smooth PVC surface with minimal chip deflection so every card looks great, no matter how it’s printed. 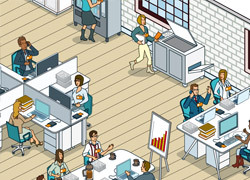 Manufactured at facilities certified by ISO 9001, Visa®, and MasterCard®, UltraSecure credentials have lower failure rates and higher system integrity than other proximity card alternatives. 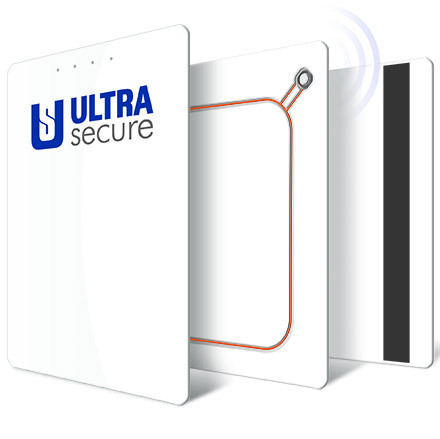 Available with both PVC and durable PET composite construction, UltraSecure cards are built to last. PET composite is stronger than pure PVC so it resists warping, cracking and yellowing over a long life cycle. 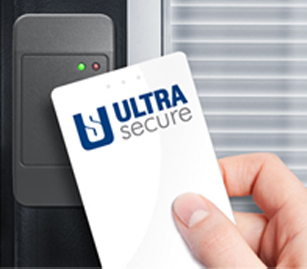 UltraSecure proximity cards are also available in multi-technology formats including magnetic stripe and MIFARE®. Global manufacturing and personalisation hubs get UltraSecure cards to your door quickly, with no backlog or minimum order requirements. UltraSecure is backed by a commitment to service with free training, an experienced staff of ID security experts and a dedicated network of resellers. Every UltraSecure product is guaranteed for life. This means free phone and email support for all customers, including complimentary replacement of production damaged or defective cards for as long as the card is in use. 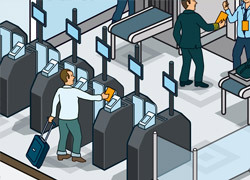 Many businesses use the MIFARE standard for employee ID cards, often linked to logical and physical access control. MIFARE cards can be loaded with a physical access control application for protecting access to buildings and facilities. 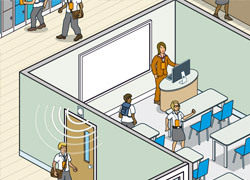 The MIFARE standard is widely deployed by educational establishments for multi-application student ID cards. 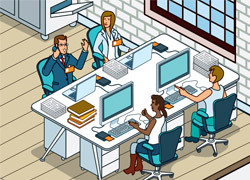 UltraSecure MIFARE cards can be linked to a time and attendance system to monitor when employees start and stop work, and often the department where the work is undertaken. 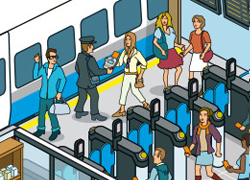 Born out of an automated fare collection system, MIFARE is still widely used for ticketing applications.